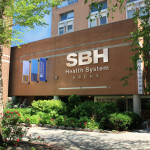 In our Division of Infectious Diseases, which was established at St. Barnabas Hospital in 1986, our board certified infectious disease physicians and HIV certified physicians care for patients with a wide range of infections including but not limited to influenza, recurrent MRSA infections, HIV, Hepatitis C, travel medicine, tuberculosis, pneumonia, sexually transmitted diseases and hospital-acquired infections. The Division includes both the infectious disease inpatient and outpatient consultation service and the Pathways Center for Comprehensive Care, our New York State Designated HIV Center. 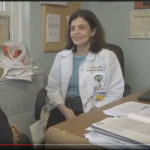 Doctors see patients admitted to the hospital, the St. Barnabas Hospital Ambulatory Care HIV Center and Infectious Disease clinic, and in two private practices in the Bronx. 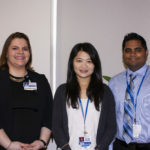 Every patient in The Pathways Center for Comprehensive Care is assigned a case manager and primary HIV care physician. The case managers address any issues related to insurance, housing, social support and assisting adherence to appointments and medications. The Center also offers educational and support groups, Hepatitis C care and referral for substance abuse care. Continuity of care is important to us. Our physicians continue to care for their patients should they be admitted to the hospital or a nursing home. Free, confidential HIV oral rapid testing with results in 20 minutes is available in our clinics, Emergency Department, and inpatient units and rapid blood testing is available in our laboratory.